In Redmond™ Bath Salt you will find an abundance of trace minerals that can help restore mineral-deficient bodies back to good health. Through osmosis, toxins are released from the body into the bath water, while trace minerals from the sea salt are absorbed through the skin. 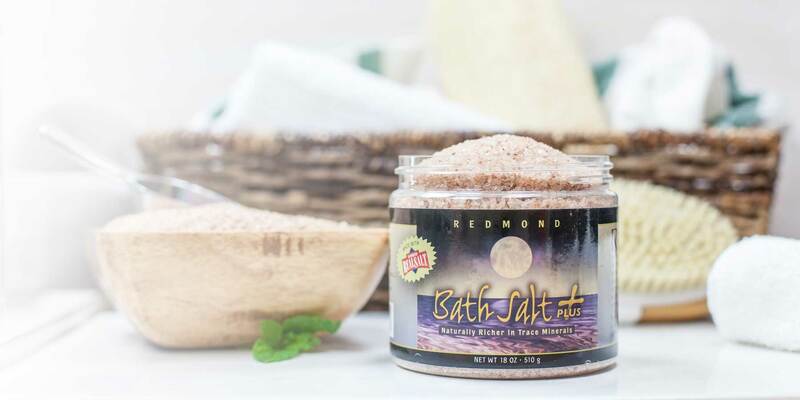 Redmond Bath Salt is a completely natural mineral sea salt that comes from a sea bed dating back thousands of years. Our bath salt is so natural you can eat it! Due to its abundance of natural trace minerals, Redmond Bath Salt provides many healing properties for the skin and body. Toxins are released from the body into the bath water through osmosis, while trace minerals from the sea salt are absorbed through the skin.